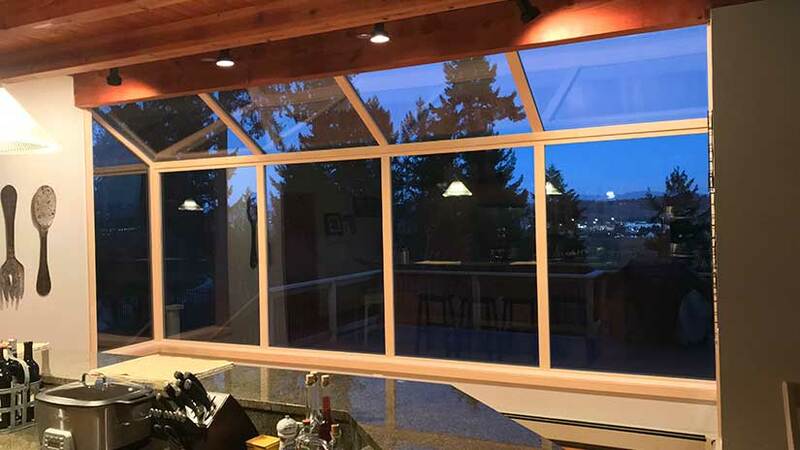 We are your local Skywall Specialists servicing the Western Washington communities of Issaquah, Bellevue, Redmond, Sammamish and Woodinville. The new and greatly improved sky wall at a reasonable price! Of course we start with our clear vertical grain Alaskan Yellow Cedar wood to ensure a durable long lasting frame that can handle both rain and shine. The construction of the frame is what really excites us. No more mullions inside or out! We redesigned the glazing pocket for better airspace, drainage channel, locking and multi- surface, glue joint with an elevated glazing pocket, which places the stop above the surface to greatly reduce an opportunity for water intrusion. 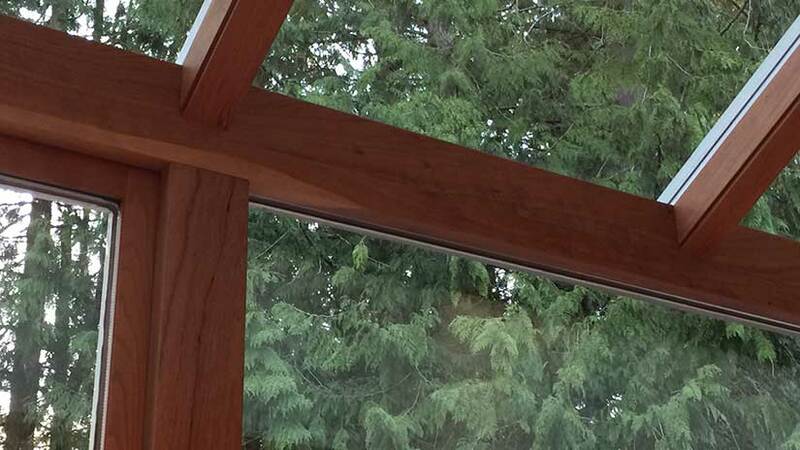 It also allows the rain to continue down the frame, preventing it from gathering at joints. We have a continuous top, bottom and side jambs with vertical and horizontal post for a stronger more durable frame with considerably less opportunity for water intrusion, as well as pillow joints on all vertical and horizontal posts and jambs inside and out for better paint adhesion and longer lasting finishes. This is no longer multiple windows attached. The last window replacement needed with greatly reduced maintenance so you can spend your time, effort and money where you want. 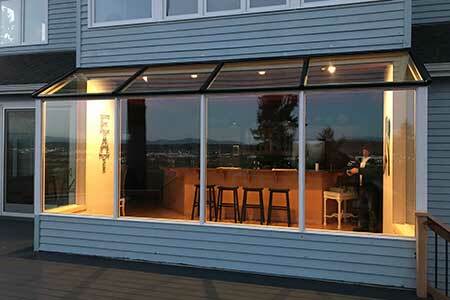 Clear Image Glass has the ability, when building a new Skywall, to reconfigure your center posts to open your view. We can rebuild the angle of the Skywall to increase the interior space and change the size of the windows to improve your views! Ask us for the details. This is the original Skywall configuration. Notice the sharp roof angle and several narrow windows. After the rebuild, notice the shallow angle of the Skywall roof and fewer larger windows! Went well. Good glass, on time, on budget, friendly people. Would use them again without hesitation. I called Clear Glass to replace 3 windows in my condo. Not only did I feel the price was fair,... read moreI called Clear Glass to replace 3 windows in my condo. Not only did I feel the price was fair, but their service person was on time, professional and did a great job. I will definitely use their services again, and highly recommend them. Send us a couple pictures of your project. What type of window service are you interested in? Your satisfaction means a lot to us. We pay attention to the things that most people are unaware of. 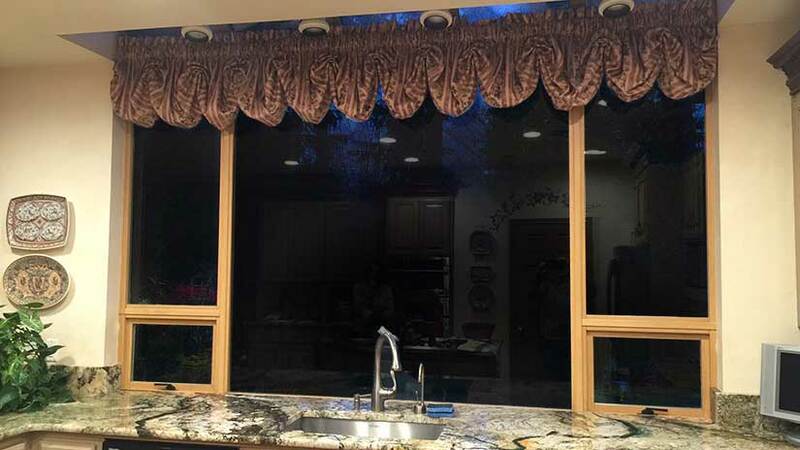 Our goal is to take care of your glass or window problem once, so you don’t have to worry about it again. We are a professional company with a personal touch. I often say I am not in the glass business I am in the business of taking care of people and I believe that 100%. 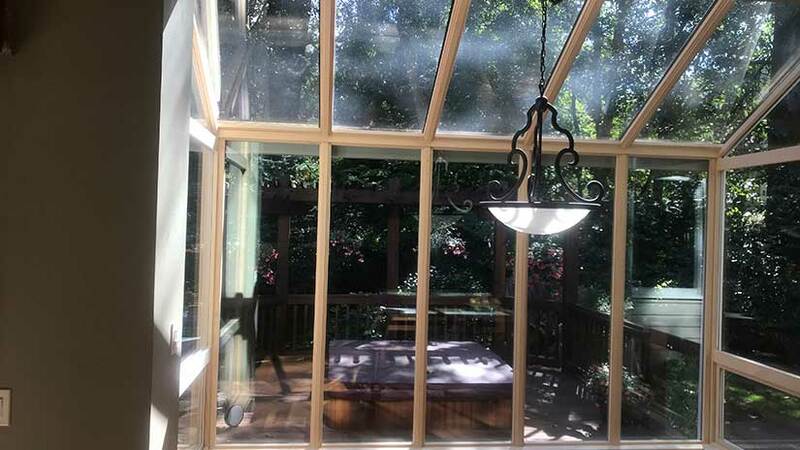 We Stand Behind Our Product and Service with a 10 yr Labor Warranty and the 20 year Manufactured warranty with all Endur Units or XL Edge Glass Products! 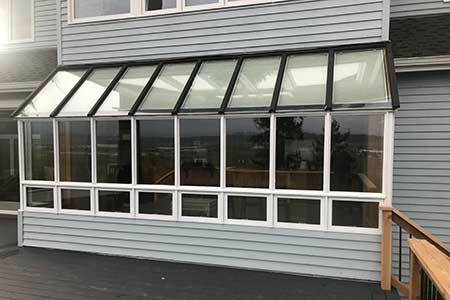 We have been providing residential window installation, replacement and repair services to Western Washington communities for over 2 decades! We know windows. Locally owned and operated for over two decades. We are proud to serve our fellow Washingtonians throughout King county including Bellevue, Carnation, Clyde Hill, Duvall, Issaquah, Kirkland, Medina, North Bend, Redmond, Sammamish and Snoqualmie.